Bohm proposed an interpretation of quantum mechanic. That means that no experiment can prove it any more correct than the Copenhagen interpretation or any other interpretation. If you want to believe that you are being influenced imperceptibly by something in another Galaxy, then Bohm gives you permission to do that, but no experiment will ever back up that view. 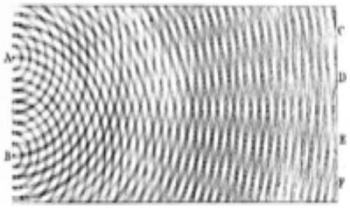 The article goes on to describe some variant of the double-slit experiment anyway, and claim that it is compatible with Bohm's interpretation. No, only crackpots believe in Bohmian mechanics or many-worlds. These interpretations have some value in showing what interpretations are possible. But that's all. They do not give any better understanding of the world. If anyone finds evidence of parallel universes or instaneous influences from other galaxies, then we will have to confront that. But lacking such evidence, it is crazy to believe in such outlandish ideas. Believing in ghosts makes much more sense. 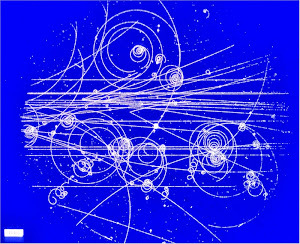 The Bohmians would have you believe that quantum mechanics is inexplicably "weird", and is hiding an orderly reality. This is backwards. A world where things in distant galaxies immediatly influence us is not an orderly reality. The recently discovered gravitational waves took millions of years to get to us. The effect was extremely slight, but getting here immediately would be contrary to ordinary scientific thinking about cause and effect. The Bohmians want you to throw away such causality. That would be far far weirder than quantum mechanics.